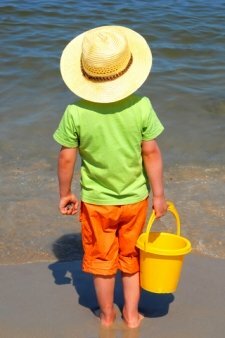 How does sunscreen work, exactly, in sun protection for the skin? We all know that we must apply sunscreen in liberal doses on our skin at least 30 minutes before sun exposure. We are also supposed to re-apply sunscreen after every 2 hours in normal activities while doing exercises in the sun and activities in the water require reapplication every hour. Despite such common knowledge, many of us are still ignorant of the answers to the question of how does sunscreen work. This should not come as a surprise since we are a consumer society with a tendency to use products but not necessarily to ask how these items work for us. Well, sunscreen works in sun protection by absorbing and reflecting the ultraviolet rays ( UV rays ) both A and B from the sun. Such protection is made possible by the presence of chemical filters as ingredients in the sunscreen. On one hand, ingredients like paraaminobenzoic acid (PABA) and benzophenonesabsorb the ultraviolet rays as these try to pass through them and into the skin. The bad news is that these ingredients are harmful to humans and to the environment. PABA can cause skin allergies while benzophenones lead to water pollution. On the other hand, sunscreens also work by reflecting the ultraviolet rays away from the skin. Titanium dioxide and zinc oxide, which are both inorganic chemicals, are used for this purpose. In fact, titanium oxide is the main answer to the question of how does sunscreen work. It works by acting like a natural mirror or the white paint in greenhouses - by bouncing the harmful ultraviolet rays away from your skin, thus, causing lesser damage. The trick with reflective sunscreens is in its application. You must apply them liberally on your face and body but never rub them into the skin. Instead, just leave it on to dry for maximum sun protection. After this question has been answered, you must focus on the issue of choosing the best sunscreen. Choose based on the strength of the sun protection factor (SPF) with 30 being the strongest and, thus, the most recommended by doctors. 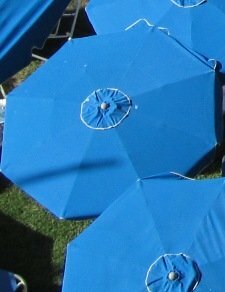 Look at the types of ultraviolet radiation from which the sunscreen provides protection. If it only protects against UVA or UVB but not both, then look for another product that offers both UVA and UVB sun protection. You must never wait for your skin to become sunburned before looking for another suitable product. Sunburn is not only painful on the skin and painful to the sight but these can lead to skin cancer. Your choice of a sunscreen can mean the difference between a long life enjoying the sunshine and a life cut short by too little sun protection. But beyond the answers to the question of how does sunscreen work work, is another all-important issue of choosing between commercial and natural sunscreens. We must emphasize that, although both types are beneficial to the skin, natural sunscreens have more benefits to health than their artificial counterparts. So, ask for the natural types the next time you purchase sunscreens. Simply click here to go to Organic Sunscreen Stories and Reviews.